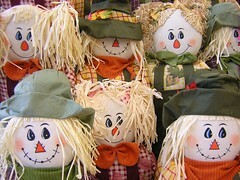 Weiswomen Creations: Our Scarecrows are Famous! Well, maybe not famous. But one of Judy's fabulous fall photo cards was featured in the Find of the Day on FoundHandmade! They did a wonderful collection of scarecrows and we're very proud that the photo in this post was included. FoundHandmade looks like a pretty cool site and I'm planning on checking out more of what they have to offer.